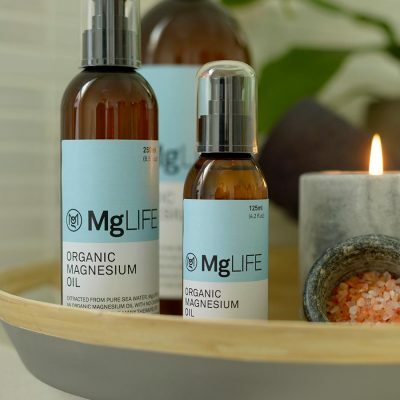 Extracted from pure sea water, MgLIFE is an organic magnesium oil with no chemicals or other nasties. 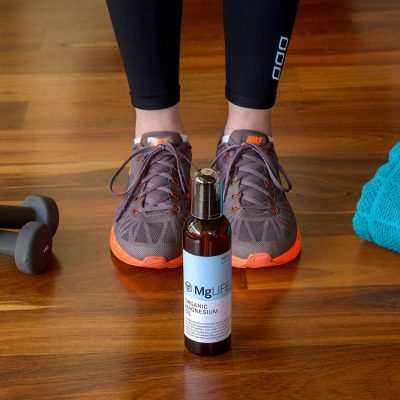 In fact, we believe we make the most pure, concentrated magnesium oil on the market. 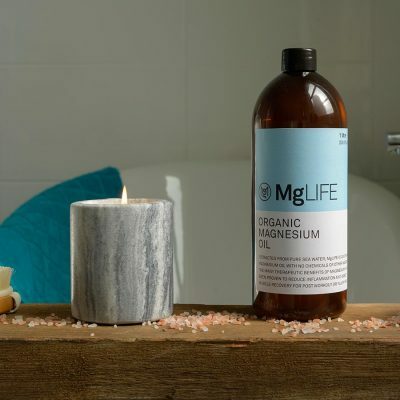 When you use MgLIFE, you help restore your magnesium levels in an easy, relaxing way. 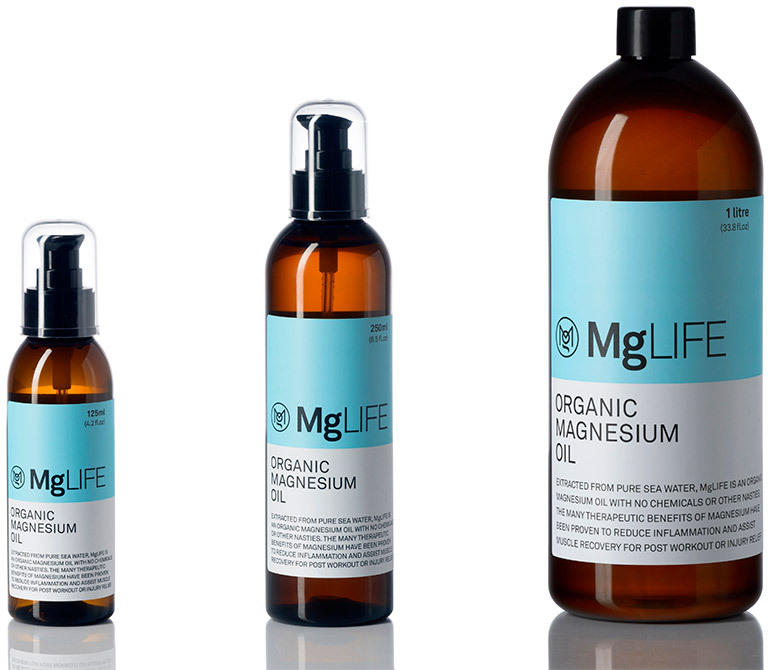 MgLIFE is made from organically sourced magnesium chloride, with a 4-year maturation. We use only the purest organically certified ingredients. 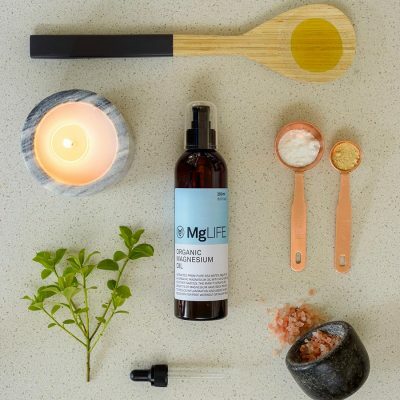 MgLIFE is not only made in Australia, all the ingredients are sourced in Australia. Our oils are highly concentrated, not diluted or made from flakes like many others on the market. Use less, gain more. Our oils are unscented and made purely from natural elements. 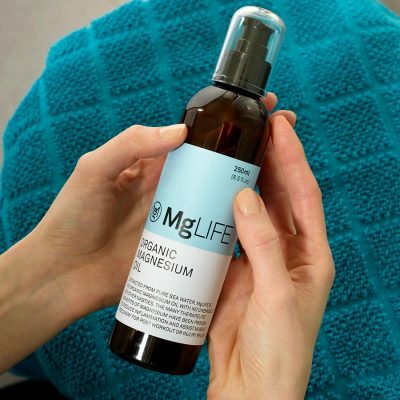 MgLIFE has a superior feel and will not leave a white sulphate residue on your skin. We scientifically test the magnesium content during each bottling run. Unlike other products on the market we have the results to prove our product is of the highest strength and quality. 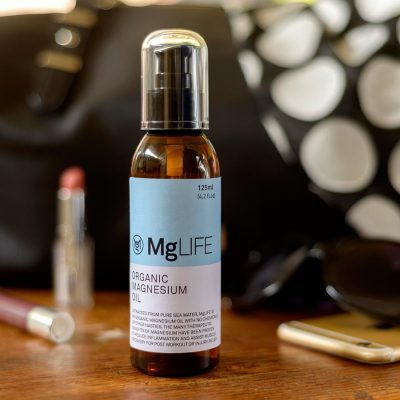 At MgLIFE we use a premium serum dispenser on each bottle for easy application and to avoid any clogging that can happen when using a generic spray top. If you’d like more information about MgLIFE or have any questions that we haven’t addressed on our More Info page, we’d love to hear from you. Please send us an email or give us a call.